FPC is seeking proposals to enter into a contract with financially sound, experienced and innovative buyer/s to purchase up to 150,000 cubic metres per annum of karri and jarrah hardwood logs or billets from the south west native forests. Interested parties are encouraged to attend a non-mandatory briefing that will be held at 10:00am at the FPC’s Bunbury office on Wednesday, 24 October 2018. 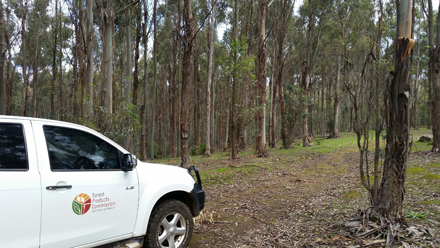 FPC is also are seeking suitably equipped and experienced businesses to purchase Eucalyptus globulus timber from five blue gum plantations located near Brunswick Junction, Frankland River, Mumballup, Table Hill and Two Peoples Bay. Each of the FPC’s plantations are located on private land under share farming agreements. It is expected that the buyer of each plantation (not the land) will conduct their own harvesting operations (sale at stump arrangement).